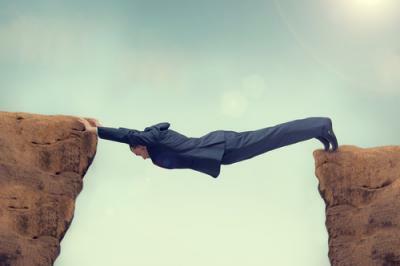 Modern bankers know well the phrase "between a rock and a hard place." But what is the origin of the phrase? In Greek philosophy, this kind of question was called a "dilemma", a problem offering two possible outcomes, neither of which is desirable. The bankers' dilemma has a specific name, the Morton's Fork, meaning the outcomes are essentially equivalent as well as undesirable: low yields kill earnings; higher yields come with credit risk which also kills earnings. Banks measure their performance using a number of ratios and metrics as they each tell a different part of the total story. While the banking industry tends to prefer ROA over ROE as a way of measuring the performance vs. a peer group, ROE is one measurement of how well an individual bank is utilizing its own equity. Perhaps more important, ROE is the number investors rely on to determine how attractive a bank is as an investment prospect. ROE in the banking industry has yet to return to the levels prior to the credit crisis and challenges continue. Looking backwards, the average ROE for the industry as a whole has fluctuated greatly over the past 10Ys, from a high of 13.0% in Q1 2005, to a low of (11.6%) in Q4 2008. Most recently ROE has climbed back up to 8.9% in Q4 2014. Banks with assets between $100mm to $249mm managed to beat the industry by generating an average ROE of 10.23% in Q4 2014, while the smallest banks (50mm - 99mm) returned about half that at 5.54% during the same period. ROE more recently has been on a better trend line than ROA, even within the same bank. ROA has been squeezed by declining asset yields and too much liquidity on the balance sheet, while ROE has been propped up by a reduction in loan loss allowances. We know this is a temporary boost as allowance levels are no longer inflated in most banks. What's more, allowance levels may need to be increased in the future for economic reasons, but also due to new calculation requirements under the coming current expected credit loss model (CECL). Banks are faced with increased equity and capital requirements, plus a seemingly endless low interest rate environment. Beyond that, there is continuing pressure from the largest banks wooing consumers with lower fees and cutting-edge technology. As a result, moving the dial on ROE is likely to continue to be difficult for community banks. Absent the ability to charge higher interest rates on loans, banks are really only left with one option for improving their ROE: cutting costs. Close to 50% of a community bank's regular expenses are fixed costs, from facility costs to outside service providers like core providers and technology. This leaves personnel costs, but cutting there can be fraught with danger. Cutting back too much can cost community banks their remaining edge against the biggest banks, plus damage their reputation in the community. Having competent and knowledgeable employees who interact competently with customers is more important than ever, and is often the one thing that differentiates a bank from its competitors. Banks may be able to reduce real estate using smaller and fewer branches. Other areas to look for savings are business lines that have become unprofitable and may merit eliminating, or staffing levels in areas that no longer require the same labor force to get the job done due to technology or outsourcing. In the end, banking does not have to be a Morton's Fork, as some choices most certainly have better outcomes than others. Most important is to plan the direction of the bank with careful thought and make intelligent choices. Your bank's future should then be assured whether measured by ROE or ROA. Treasury yields fell 4bps by the close of the day as retail sales came in well below what the market had predicted. Yields are currently up 3bps ahead of consumer sentiment scheduled for release later this morning. Synergistics research finds that overall customers prefer to use these channels to conduct banking activities: online banking (44%), branches (28%), ATMs (15%), mobile (4%), phone systems or call centers (2%). However, the same analysis found that when it comes to opening an account, preferred channels are branches (61%), online (11%) or through a phone system or call center (5%). The CFPB is reportedly concerned that reverse mortgages are confusing to consumers, so the agency is looking into ways to improve transparency and clarity around the product. The CFPB found that there are only 628,000 outstanding reverse mortgages or about 1% of the total amount of traditional mortgages. The DOJ announced the five largest US mortgage servicers will be having to pay $123mm to settle claims of unlawful foreclosures against military service members as well as their families. The Wall Street Journal reports Bank of America reportedly used funds from a subsidiary backed by the federal government to finance transactions by its European investment-banking business that helped clients avoid taxes. The FFIEC has issued an updated business continuity planning booklet that bank examiners will use when looking at outsourced technology services. The changes highlight that a financial institution's reliance on third-party service providers to perform or support critical operations does not relieve a financial institution of its responsibility to ensure that outsourced activities are conducted in a safe and sound manner. Specifically, the update focuses on third-party management, third-party capacity, testing with third-party technology service providers and cyber resilience. The Wall Street Journal indicates companies drilled 28% fewer oil wells in January in the US vs. last June.